These skewers are very easy but look thoughtful despite taking no time at all. Serve with a mild mint yoghurt dip for the kids and a spicy harissa dip for the grown-ups. The recipe is easily scaled up to feed a crowd. 1. Preheat the oven to 200°C/400°F/Gas mark 6. Line a baking sheet with foil and soak your wooden skewers in water to prevent them from scorching. 2. 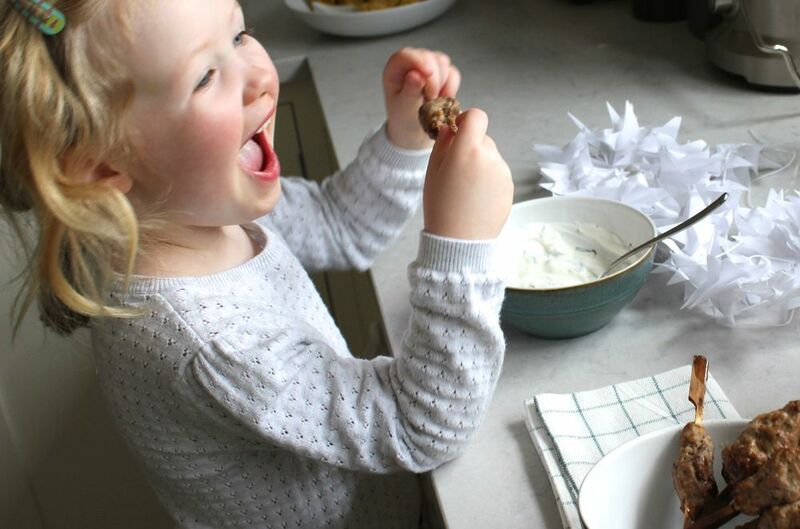 Get the kids to weigh out the lamb and apricot and put them straight in a food processor. Pick the leaves off the mint, add to the processor and whizz to combine. Make sure the apricot and mint are finely chopped. The mixture will come together into a ball. 3. Wet everybody's hands and shape the lamb onto your skewers. Place on the baking sheet and cook for 10 minutes or until cooked through. 4. 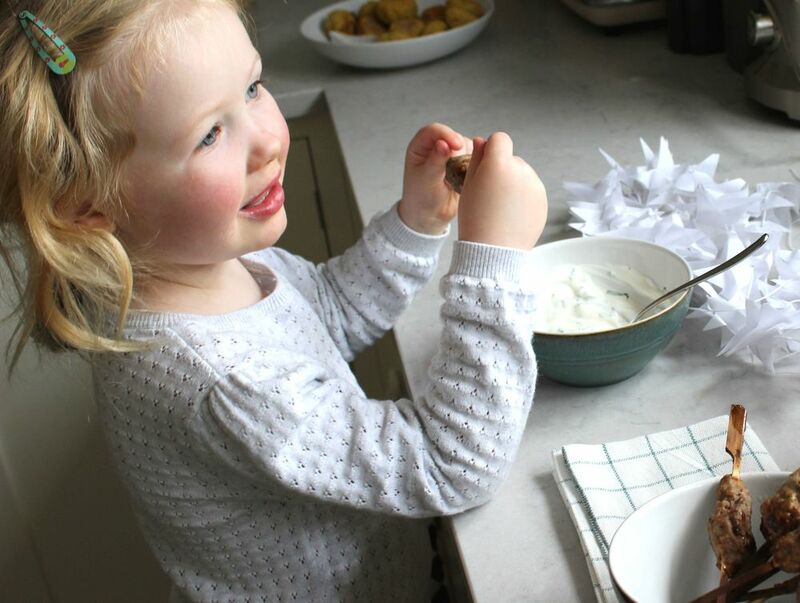 While they're cooking, get the kids to make the mint dip. 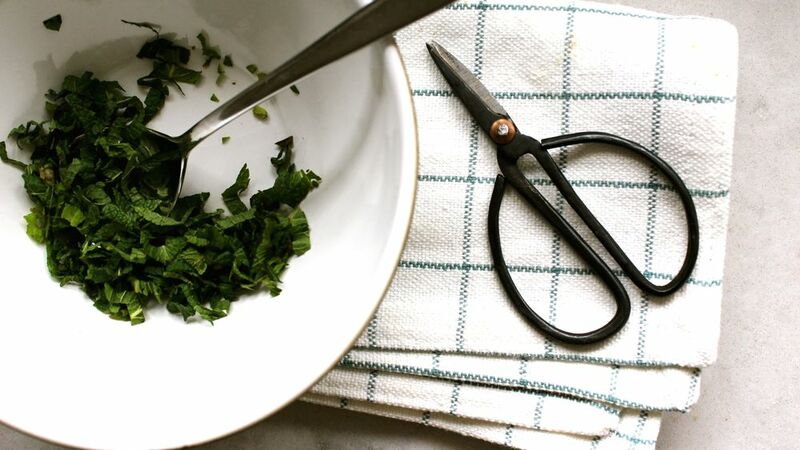 Pick the leaves off your second batch of mint and snip it up with kitchen scissors (kids find this easiest with multi-blade scissors like these). Stir the chopped mint in to the yoghurt in a bowl and season with salt and pepper. 5. Show the kids how to drain the jar of peppers. Clean the food processor bowl and blade and whizz up the peppers and harissa for the spicy dip. Decant into a second bowl and serve the skewers with the dips. Leave a spoon in the dips so that people can spoon the sauce over the skewers.